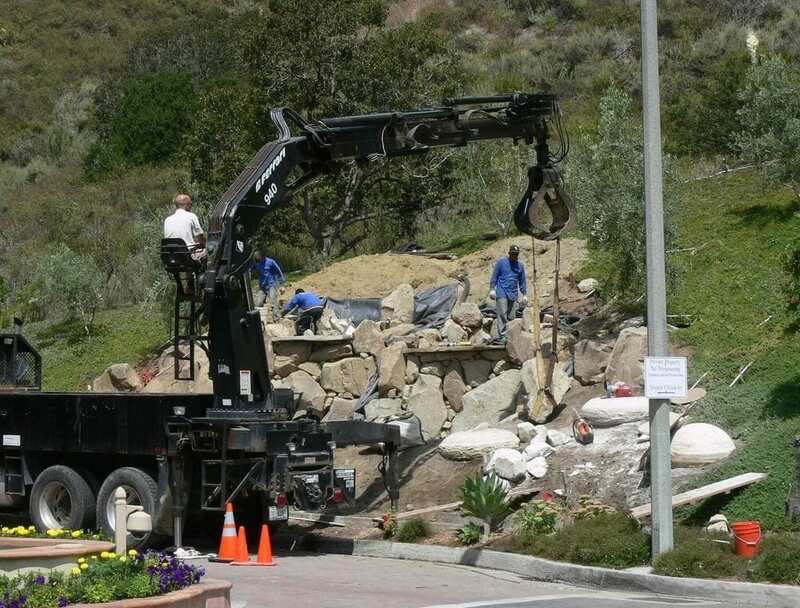 The homeowners association for this Calabasas community wanted something to separate their entrance from the rest of the neighboring communities. 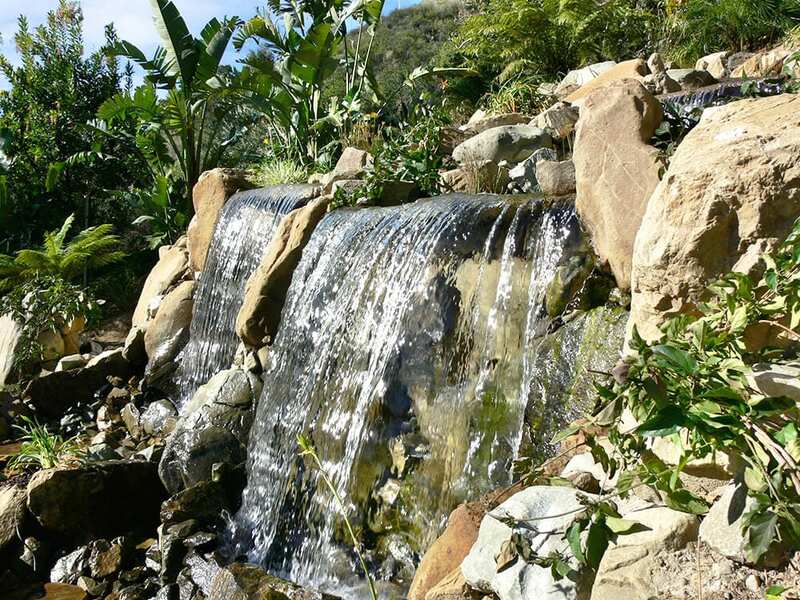 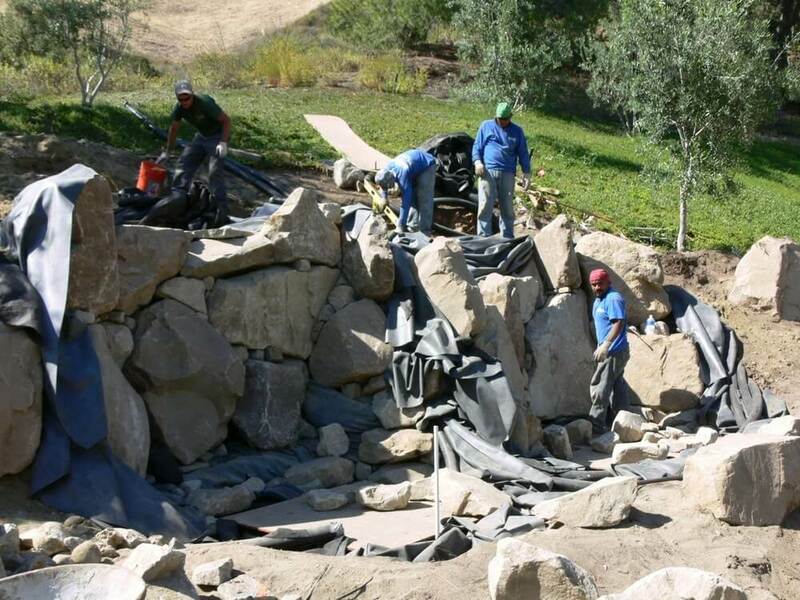 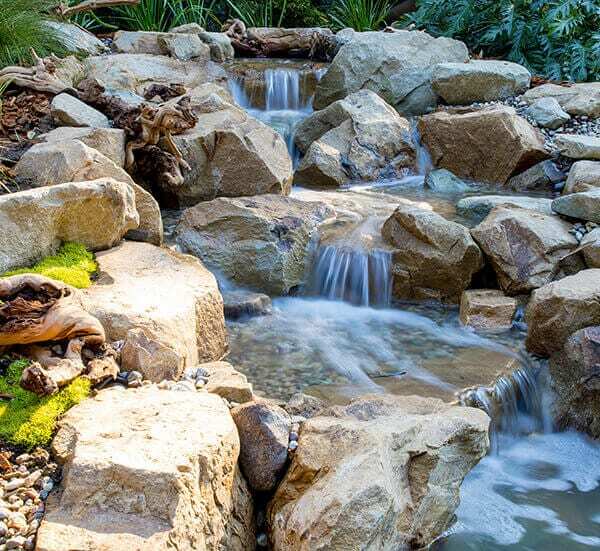 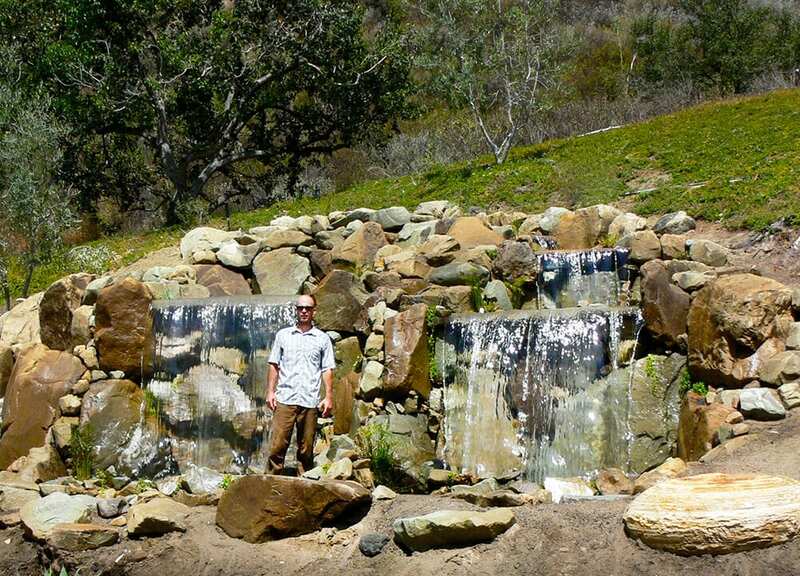 They wanted 2’ – 6’ tall, by 5’ wide waterfalls to greet the residents and visitors at the front gates. 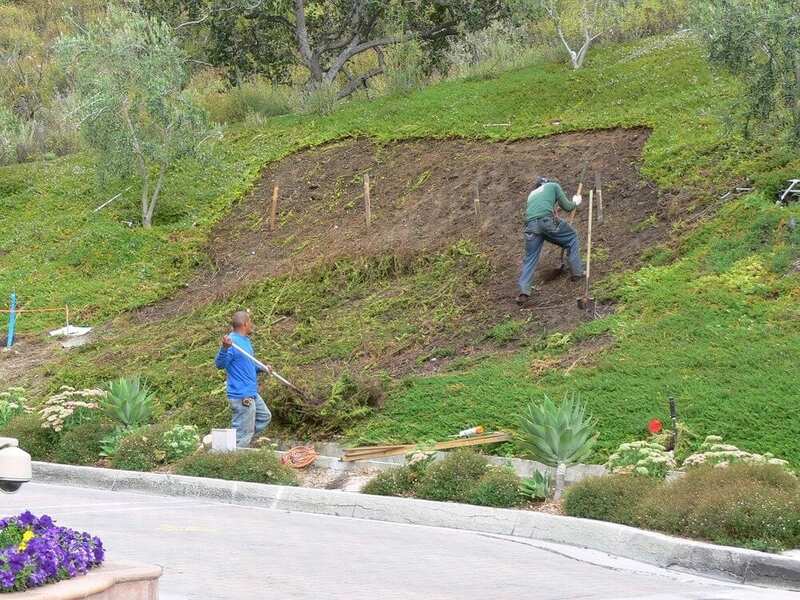 This was incredibly challenging for a number of reasons, but the main one being, the location of the water feature on this 45-degree slope.